Email is one of the oldest social media platforms, but it’s still in regular use today. Many people aren’t convinced that email marketing is the way to go, thinking their emails will just get lost amongst all the everyday email chaos, but we have three great reasons why emails are the right choice for your business. Facebook, Twitter, Youtube and Snapchat all have their place and each of them can work wonders when used appropriately for your business, but none of them can hold a candle to a good, sleek, professional email. Everyday, 269 billion (Redacti) emails are sent and it’s still the preferred method for businesses to communicate – either with other businesses or their customers. You get to show your personality through your social media accounts, but your email is where everything comes together in one professional piece of communication. 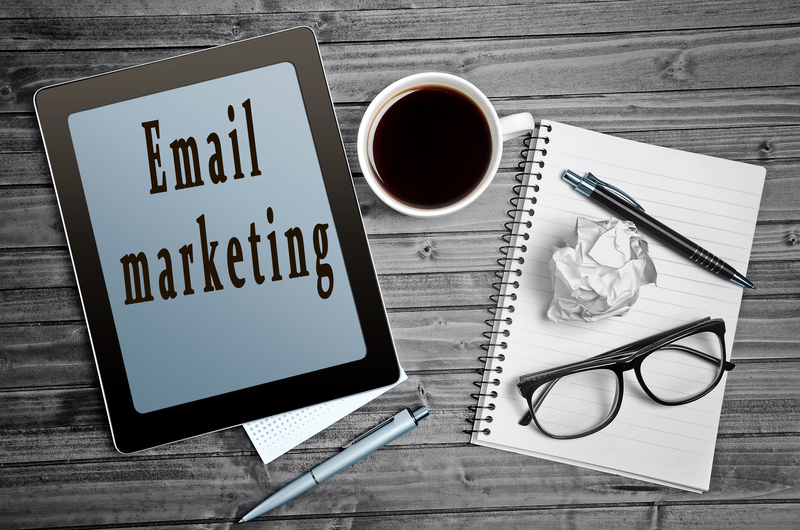 Emails have come a long way in the last 20 years and despite all the new social media platforms and complicated marketing techniques, email marketing still comes out on top with a conversion rate of 66% (DMA). Not only can you provide your customers with email-only deals, you can send them wherever you want them to go through interactive links in the body of your email. These direct links mean that customers never get lost or distracted in the tangled, interwoven web. The biggest advantage to email marketing is your ROI – for every dollar that you spend, you get $38 in returns (DMA). Considering that most email newsletters are free or extremely cheap to create, the ROI is next to none. Facebook and other social media platforms can be daunting – plenty of people expect you to be updating daily and that pressure can be a little overwhelming. Email is a little less demanding – you can send out an eNews as little or as much as you prefer. You might feel like you don’t have enough updates to include on social media each week or day, it’s almost certain that you will have enough business news to share at the end of the month. Matt Alderton is the go-to business keynote speaker in Australia. Matt’s extensive experience across a broad range of industries from the franchise sector to all types of SME’s, together with Matt’s easy-going and fun presentation style, has made Matt a highly sort after speaker. Matt Alderton is the founder and CEO of Alderton Enterprises, the Founder of Integrated Workforce Solutions, Founder and CEO of Orderfast, The Movie Crew, Bx and BxNetworking and the owner of multiple retail and hospitality businesses, as well being a # 1 best-selling author, professional speaker, coach & small business xpert. Matt was named Business Person of the Year in 2015, NSW Business Leader in 2016, and Finalist Australian Business Entrepreneur in 2016 and 2017. Alderton Enterprises was awarded the Australian Business of the Year in both 2016 and 2017. With an extensive career in retail, management & leadership, Matt’s passion is and has always been developing and leading people to achieve their best. As a certified member of the esteemed John Maxwell Leadership team, Matt continues to serve and develop people with a vision of helping people achieve their goals in life. Through Matt’s business ventures, he has lead teams in excess of 150 amazing people, Matt continues to invest in training and development and the businesses within Alderton Enterprises continue to be recognised within their industries for amazing results in the areas of customer service, retail excellence, marketing & promotions and business excellence. At the helm of Alderton Enterprises, Matt continues to grow the enterprise and is currently expanding in a number of internet related opportunities, the expansion of IWS as Australia’s fastest growing rostering & payroll service provider and the continuing commitment to providing leadership training, coaching, workshops and keynote speaking. Matt’s latest venture, Bx, is the premier provider of training and education to small business in Australia and has worked with business experts such as John McGrath, Mark Bouris and Naomi Simpson. Bx and BxNetworking are on track to have the largest community of entrepreneurs in Australia. Matt Alderton has over 12-years’ experience as a business owner, having owned more than a dozen businesses across multiple industries, including retail, hospitality, technology, entertainment, and professional development. During Matt’s time as a business owner, Matt has been faced with enormous challenges, including being defrauded of almost $1m by a business partner, the Global Financial Crisis and also the death of 8 family members within only a few short years. 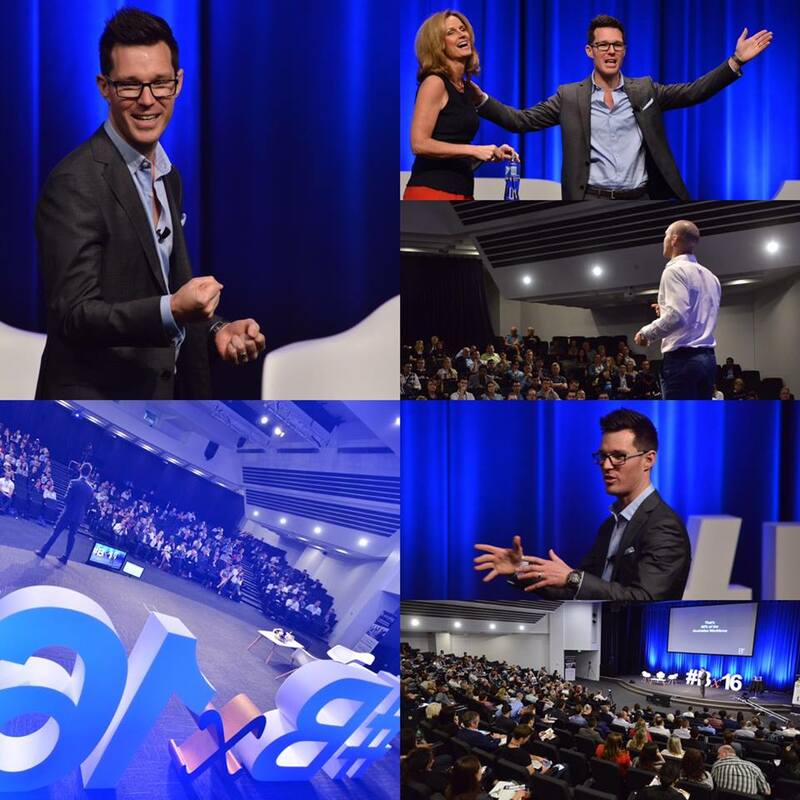 Through these experiences and many others, Matt’s attitude, resilience and business and life lessons have become the pillars to which Matt’s various keynotes and presentations are based. Matt’s experience in the franchise sector, often leads to speaking opportunities within franchise conferences. Matt has incredible knowledge around systems and processes, automation, outsourcing, and building scalable businesses. Through Matt’s business, Bx, Matt has coached hundreds of business owners to build successful scalable business. In addition to the above, Matt can help business grow their sales fast, understand the psychology of selling, create an online strategy, build business networks, create a publicity and PR plan and build strategic partnerships. Matt’s broad and extensive knowledge across growing SME’s, coupled with his real-life experiences, and overcoming of significant adversities, makes for an incredibly inspiring and engaging presentation. Matt can tailor an event to suit any business, conference or event, so the delegates get maximum impact and results. It’s a common problem that all business owners face at some point – how to get everything done in a limited amount of time without sacrificing their own quality of life. When your business is growing and you have more to do, but not necessarily more team members to help to do the work, it can be easy to become overwhelmed. The answer to this problem is simple. As soon as your attention is being consumed away from sales and customer service, pause and think about where YOUR time is most valuable. For any business owner, that time is best spent on growing your customer base and nurturing leads. Any tasks that distract you from that focus are prime targets for outsourcing. 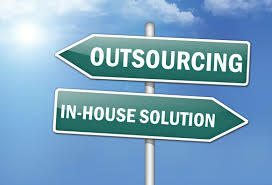 Outsourcing also allows business owners to manage growth in a scalable and cost effective manner. When a task – say bookkeeping – is taking your time away from more valuable tasks, but you don’t have the need for a permanent internal resource, outsourcing is the perfect interim solution to manage this in-between period of business growth. After all, the cost of an employee is more than just their salary – you also need to factor in additional costs like insurance, superannuation, office space and IT infrastructure. Suddenly a contractor’s hourly rate can become a lot more reasonable! Then once your business has grown further, there may be a tipping point when it makes sense to create a dedicated internal role. 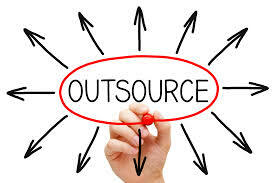 Outsourcing allows you to dial this capacity up and down in a scalable way that meets the unique needs of your business. Depending on the skill set required, you can find excellent outsourcing solutions both within Australia and internationally. There are a number of websites, such as Upwork, that can connect you with a range of freelancers with different skills, as well as companies that specialise in managing these relationships for businesses. As well as searching online, don’t forget to ask your network for any recommendations and referrals. How many of us are so busy doing a fantastic job for our current clients, that we find we don’t have good systems for getting new clients? The key to a sustainable and scalable business is the implementation of systems to grow our business. Good systems allow us to spend more time delivering to our clients and less time chasing new business. New business is the lifeline to building a business. Below are five quick steps you can implement in your business straight away to grow your business by finding and attracting new customers. 1. Remember the saying, if you fail to plan, you plan to fail? Yes, I know it’s cliché, but many of us have very limited time, so we often are light on in the planning stages of marketing. I have found that even a rough plan of the next 3-6 months of strategies can give you a timeline of success and actually take a bit of pressure off. If you don’t have any marketing in place, just get 3-5 things that you can do over the next 3-6 months. Then, commit to getting two of them off the ground in the next 30 days. 2. 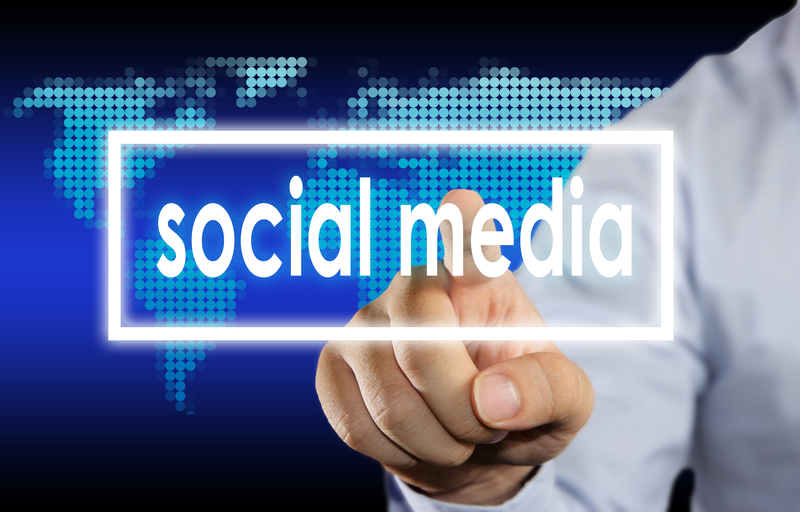 Social Media and Online Marketing – if this is alien to you and freaks you out a bit…don’t worry, most people are in this boat. The rise of the internet and social media over the past decade is phenomenal and to most is now the norm. However, start talking social media marketing, and the majority are still fairly vague on this. Where to start? That’s the question to ask yourself. Firstly, there are plenty of companies that can help you on this, and if you think you may need some help…get help. They are usually very cost effective. If you haven’t done either, start with Facebook advertising, as these are easy to setup and are relatively low cost. Google Adwords and LinkedIn Advertising are also great options. Start with Facebook and once you’ve mastered that progress to the others, or hire in help to get you started. Build your client list/ database, don’t build your likes. Trade Shows – there are tradeshows for everything these days, go online and find out where you customers are looking for the next big ticket to help them…and make your business that big ticket! Sporting events – when the sporting event ends…thousands file out of the event. Make them head to your business with a limited time only compelling offer. Set up a temporary stall/ information booth in a shopping centre – let’s face it, most people shop. So, make yourself visible and available to you potential customers by either selling your products, giving away samples, or providing information on your business/ services to those that show an interest. Strategic partnerships….read on to point #4! WIIFM (What’s In It For Me) – do a quick list of what YOU could offer THEM. Strategic partnerships only work when both parties feel like they are getting value out of the partnership. Contact your top 20 – book a meeting with each and discuss your strategic partnership. Make sure you have a list of the top benefits for THEM. The more you focus on THEM, the stronger the partnership. Remember you listed them as your top 20, so they will be able to deliver to you, make sure you can deliver to them. Communicate to your team and the SP’s team – excite and entice both sides to the opportunities. Have a tool to measure the results. Systemise this. 5. Direct Marketing – okay, I know this is old school, but sometimes old school works. I will give you an example. One of my business is an IT/web-based business. We have an awesome app for hospitality businesses that allows them to place their supplier orders for all their suppliers. It has been hugely popular. We had inside information that a huge multi-national chain was changing one of their suppliers and we wanted to provide our app to this chain. We didn’t have email addresses for these businesses, phone calls would have been time consuming, and we couldn’t drive around the country doing face to face meetings. The best option was a direct mailout through the post. With postal addresses widely available, it was easy to create the mailmerge and pump out the advertising, directly mailed to each business. Rule of thumb – find out who your target market is, and if you can’t get in front of them, snail mail, ain’t a bad option! Last night we saw our fourth Budget handed down from the current Government and there were no major surprises for small business owners. Yet, was it enough? As a small business owner, is there enough being done to drive your profitability, resilience and long-term success by the Government? I am often asked by people why the Government should spend resources and funds on small business. ‘Shouldn’t it be the responsibility of the business owner to achieve their own success?’. This is not a simple answer, and the same could be asked of all Australians. Before we dive into the 2017-18 Budget, let’s take a look at WHY small business is important to the Australian Economy. Businesses with 200+ employees, approximately 20%. The ABS reports in 2015-16 taxes on income accounted for 57% of revenue (across all levels of Government). Not only is small business paying company and other taxes, they are paying the wages of 60% of the Australian workforce, contributing to the PAYG tax collected by the ATO. It’s clear that small business is a key player in the revenue generated by the Government, yet are the measures to support and strengthen this critical sector our economy – the ‘engine room’ as it is so often referred to – enough to ensure this sector becomes stronger and more resilient. Last night the ABC reported that 3 out of the last 4 quarters had seen negative growth in the retail sector – a significant segment of small business. Even the cafe and restaurant sector, has seen negative growth. 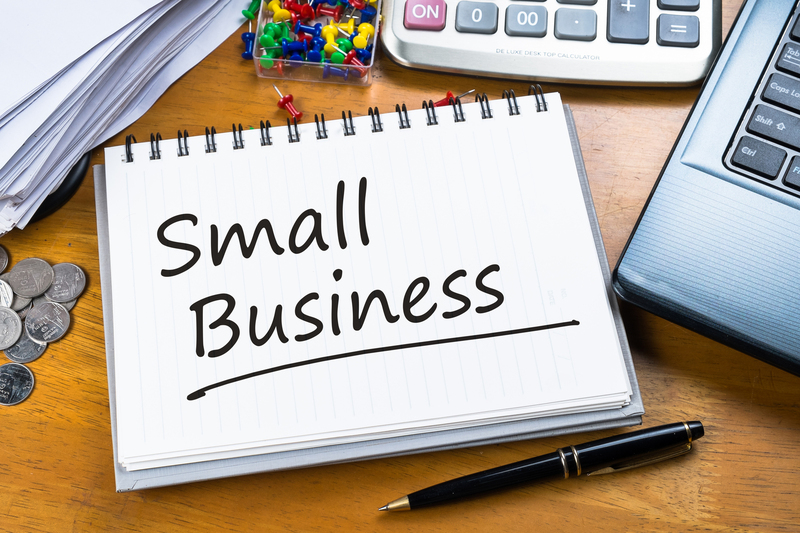 With greater than 50% of small businesses failing, small business needs more than a tax break on profits to create long-term growth and sustainability. Dun and Bradstreet’s Failed Businesses Report, shows that in 2016 the ACT recorded its highest number of business failures in three years. Interestingly, small business may make up a significant portion of the Australian economy, but how much of that is actually collected? The Australian reported in an article by Robert Gottliebsen, the ATO is owed $19 billion in overdue tax, of which $13 billion is owed by small businesses with turnover up to $2 million. The engine room is clearly struggling. Okay, so it’s not all doom and gloom for the small business sector. Although I don’t see it as a clear win for small business, there are still a number of measures that will bolster small business. $20k instant asset tax write-off – this has been maintained for the 2017-18 FY for businesses of up to $10m. No surprises here. Red tape reduction incentive – States and Territories have been promised a $300m payment over 2-years towards innovation. Let’s see how this filters through to small business. Small businesses employing foreign workers on 457 Visas will now be slugged with a $1,200 per year per worker, along with a one-off $3,000 payment. This replaces the need to report training spend required of 1-2% as previously required. I can see this impacting the hospitality segment especially, with a high number of foreign workers, and incredibly tight margins. The Black Economy – a crack down on the ‘cash economy’ is on its way. Businesses still operating by under-reporting, falsifying records and illegally avoiding paying tax are under threat. Let’s face it – it’s about time. If you are operating this way, you deserve to be caught – you are lining your pockets at the expense of all Australians. This will include businesses that pay cash to employees and businesses that don’t declare cash payments. Next time you walk into a local cafe that doesn’t have EFTPOS…ask for a receipt. If the Government is serious about creating a strong, resilient and sustainable small business sector, we need to focus on two key elements. Funding for small business – cashflow is the number one issue for small business. The bank’s pledge small business funding, yet it is not accessible to the majority of small business. There needs to be a State or Federal solution to this. Education for small business owners – the more I work with small business owners, navigating the many challenges and opportunities that they encounter, the more obvious it is. Small business owners need training and education in the areas outside of their trade craft. Too often small business owners are expected to be the expert in all areas, accounting, taxation, legal matters, social media and marketing, structuring, systems, HR and so on.Yet, to get professional advice in all these areas is financially unachievable. Training and education is, therefore, essential and should be a high priority for both State and Federal Governments. If 4/5 of the budget repair is driven by growth, then business success is fundamental. 1. This legally binding agreement is between you and Bx Pty Ltd (ABN 78 604 725 493) (referred to as “we”, “us” or “our”), and collectively the Parties. 2. You have requested membership of the Business for Life Program, details and inclusions of which are set out in the application form (Services or Program). You agree and accept that these Terms and Conditions(Terms) form the agreement under which we will supply the Services to you. Please read the Terms carefully. Please contact us if you have any questions. v. making part or full payment for these Services, by the methods set out in the application form. 4. We agree to perform the Services with due care and skill. 5. We may provide the Services to you using our employees, contractors and third party providers and they are included in these Terms. 6. Suppliers of third party services who are not an employee or our direct contractor and who you engage (Third Party Services) will be your responsibility. We are not responsible for the quality of service provided by suppliers of Third Party Services. You must make direct arrangements with them. 7. Our Services cover the scope set out in the application form. If you request additional services, including but not limited to changes in scope, variations or additional rounds of comments (Variation), we have discretion as to whether we perform this work and whether an adjustment to the fees may be required in respect of the same. 8. We reserve the right to vary these Terms, revise the content of the Program, cancel, amend, change or reschedule part of the Program and to make other changes to the Program and your membership as reasonably required. 9. We reserve the right to close our office and its operations for up to four (4) weeks during the year, including the December/January holiday season. During this time, there will be limited or no access to all components of the Program, except for the online eLearning and resource portal and the business and networking Facebook group. There may be no support available from our employees, contractors, advisers or third party providers during this time. ii. twelve (12) months following the cessation of the employee or contractor’s employment with us. This clause shall survive termination of these Terms. vii. you shall use your best endeavours to comply with our Code of Conduct. ix. if applicable, you are registered for GST purposes. v. you are responsible for using the materials and resources provided to you in the Program. 14. We, including our employees and contractors, agree not to disclose your Confidential Information to any third party; to use all reasonable endeavours to protect Confidential Information from any unauthorised disclosure, only to use the Confidential Information for the purpose for which it was disclosed by you and not for any other purpose. 15. You, including your employees and contractors, agree not to disclose our Confidential Information to any third party, to use all reasonable endeavours to protect Confidential Information from any unauthorised disclosure, and only to use Confidential Information for the purpose for which it was disclosed or provided by us to you, and not for any other purpose. iv. must be disclosed by law or by a regulatory authority including under subpoena. 17. Breach of this clause by you may result in the termination of these Terms by us and your exclusion from the Program, in our absolute discretion. 18. Confidential Information includes confidential information about the business, structure, programs, processes, methods, operating procedures, activities, products and services, trade secrets, know how, financial, accounting, marketing and technical information, customer and supplier lists (including prospective customer and supplier information), ideas, concepts, know-how, Intellectual Property, technology, and other information whether or not such information is reduced to a tangible form or marked in writing as “confidential” in relation to our Confidential Information, this shall include the content, resources, materials, handouts and any login details provided in respect of the Program. 19. The obligations under this clause will survive termination of these Terms. 20. During sessions, some speakers may choose to share with you private information that they do not want repeated outside the Bx environment. If informed, please be respectful and refrain from discussing such information outside the environment. 21. Recording equipment of any kind is not allowed during Bx events. An official recording will be made by us and once edited it will be uploaded to the www.BusinessforLife.com website. 22. Bx, the Program Materials, and user names and passwords provided to you are confidential and must not be given to or shared with people outside the Bx community. The only exception to this is you may share relevant information with your staff for the purposes of them implementing the ideas shared into your business. 23. No part of Bx or the Program Materials may be copied, modified, licensed, published, transmitted, distributed, uploaded, broadcast, sold or otherwise transferred without our prior consent. We or our licensors own all intellectual property rights in Bx and Program Materials. 24. Business for Life is a 12-month program. Payments must be made at the beginning of each calendar month. There are no cancellations, hold-periods or refunds during this time. Should your credit card expire, you will be required to supply new details that will take you up to the end of the agreed payment period. We reserve the right to suspend your access to the program until your payments are up to date. We may amend the frequency of the deductions at our sole discretion. 25. Payment may be made upfront for twelve months or on a monthly payment plan. The term is twelve months irrespective of the chosen payment plan. 26. After your first 12-months your membership will automatically be renewed and will continue until it is cancelled. At the start of your second year your membership will be upgraded to VIP and your payments will be reduced to $297 per month for Gold Members, and a low $597 per month for Platinum Members. 27. Should you at any time wish to upgrade your membership from Gold to Platinum, please send an email notifying us. Once received we will make the necessary administration and account changes. From there you will be emailed a confirmation letter that will include access details to all Business for Life Platinum privileges. 28. With regards to all Bx Conferences, all conference fees and materials are included. However, flights, accommodation, meals, drinks and all other expenses are the responsibility of the Business for Life member. 29. We may charge interest at the rate of 2% per month on any amounts unpaid after the expiry of 10 days after the payment date. If any payment is still outstanding after the expiry of these 10 days, we reserve the right to suspend your access to the Program until your payments are up to date. 30. If the required payment remains unpaid for 30 days after the payment date, we have the right to engage debt collection services for the collection of unpaid and undisputed debt, and the right to commence legal proceedings for any outstanding amounts owed to us. 31. All amounts are stated in Australian dollars. 32. All purchase prices include Australian GST (where applicable). 33. Our pricing structure, payment methods, payment processes and these Terms may be amended from time to time in our discretion. The pricing changes will apply to you for any new services provided to you after the date of the change. All other changes will apply from the date that the amended or new Terms are posted on our website or are provided to you, whichever is earlier. 34. By accepting our Terms, you may not request a refund of fees or terminate, cancel, suspend or defer your enrolment in the Program except in the circumstances set out in sub clauses 34-45 below. i. If you have paid up front, we shall refund an amount equivalent to: Fifty percent (50%) of Total upfront payment/12 and then multiplied by number of whole months remaining of your membership. ii. If you are paying in equal monthly instalments, a cancellation fee of 50% of the remaining balance of your 12-month membership will be incurred. iii. Requests for cancellation need to be made in writing via email to info@b-x.com.au for submission to the board. ii. If you are paying in equal monthly instalments, your membership payments will continue for the duration of your 12-month membership, and your approved on hold period will be made available to your as credit. iii. During the hold period, access to all components of the membership and Program will also be placed on hold and you will cease to have access to the Program. v. you have fully complied with your payment obligations to us and have not otherwise breached any of these Terms. iii. you breach any part of these Terms. 39. On termination of these Terms by us you agree that any payments made are not refundable to you, and you are to pay all invoices for Services rendered to you. 40. On termination of these Terms you agree to promptly return (where possible), or delete or destroy (where not possible to return), our Confidential Information and Intellectual Property, and/or documents containing or relating to our Confidential Information and Intellectual Property. 41. Where termination is prior to the end of the initial term, Bx will invoice for any remaining fees owed the association for the twelve month term. 42. On termination of these Terms, we agree to promptly return (where possible), or delete or destroy (where not possible to return), your Confidential Information and Intellectual Property, and/or documents containing or relating to your Confidential Information and Intellectual Property. 43. On completion of the Services and the Program, we will retain your documents (including copies) as required by law or regulatory requirement. Your express or implied agreement to the Terms constitutes your authority for us to retain or destroy documents in accordance with the statutory periods, or on termination of these Terms. 44. The accrued rights, obligations and remedies of the Parties are not affected by the termination of these Terms. 45. After your first 12-months, should you wish to cancel your membership, please send us an email providing a minimum 2-weeks notice. By doing so we can ensure no further charges take place. You will then be contact to confirm this action and your login details for BusinessforLife.com will be suspended at the end of your payment cycle. We can cancel your membership if you are in breach of this Agreement. 46. The work and materials that we provide to you in carrying out the Services (including but not limited to video and audio recordings and content of the Program, ebooks, podcasts, slideshow presentations, and any other information, resources, materials and handouts provided to you in the Program) contains material which is owned by or licensed to us, or owned by third parties, and is protected by Australian and international laws (Materials). 47. We own the copyright in all creative and literary works incorporated in our Materials that we have created. 48. You agree that, as between you and us, we own all intellectual property rights in or Materials, and that nothing in these Terms constitutes a transfer of any intellectual property ownership rights in our Materials, except as stated in these Terms or with our written permission. Your use of our Materials does not grant you a licence, or act as a right of use, any of the intellectual property in the Materials, whether registered or unregistered except as stated in these Terms or with our written permission. iii. using our Materials for commercial purposes such as on sale to third parties. 50. We will license to you, certain Materials, such as the Program materials, downloadable templates, handouts and resources which will be referred to as Licensed Material, upon full payment of our fees. You acknowledge and agree that this Licensed Material may contact intellectual property which is owned by third parties and not by us, and use of such third party intellectual property is governed by the relevant third party’s terms and conditions. ii. by members of your staff solely to develop your business. 52. No part of the Licensed Material may be copied, modified, licensed, published, transmitted, distributed, uploaded, broadcast, sold or otherwise transferred to any third party without our prior written consent. 53. We do not accept responsibility and liability for any changes that you or anyone else makes to the Licensed Material. 54. You acknowledge and agree that you must not use our Licensed Material to create a business name that is similar to ours. If you do so, we reserve the right to immediately terminate your License. iii. consent to any act or omission which would otherwise constitute an infringement of your Moral Rights. iii. agree that your consent extends to acts and omissions of any of our licensees and successors in title; and agree that you consent is a genuine consent under the Copyright Act 1968 and has not been induced by duress or any false or misleading statement. 57. We may create Intellectual Property for you as part of the Services. You are responsible for proofing and approving all materials we prepare specifically for your business. We will assign ownership of these materials to you, upon full payment of our invoices. 58. Intellectual Property includes any and all intellectual and industrial property rights throughout the world, whether subsisting now or in the future and includes all copyright and analogous rights, all rights in relation to inventions (including patent rights), registered and unregistered trademarks, designs, (whether or not registered or unregistered), circuit layouts, trade names, trade secrets, business names, company names or internet domain names. 59. Program Materials may only be used for educational purposes and only for non-commercial use. 60. Bx conferences are only able to be attended by the designated member included within this participation agreement. If in the event that you are not able to attend a live conference, it will be recorded and you will be able to view the entire conference online. 61. Bx understands that events are a non-pitch environment. As such you agree to conduct business within the community in a professional manner. If conduct is deemed to be unacceptable and is not corrected after notice, Bx reserves the right to cancel your membership. 62. You understand that Bx will be taking photos and filming all live events. This footage may then be used for the creation of physical DVD products or turned into online videos. You give permission for this to occur. 63. Your feedback is important to us. We seek to resolve your concerns quickly and effectively. You agree to raise any concerns, problems or issues you may have concerning the Program to us directly in person or via phone or email. 64. You agree not to post any content in our website or any of our social media accounts that is or could reasonably be considered to be inappropriate, defamatory, disparaging or would otherwise bring us into disrepute. 65. ACL: Certain legislation including the Australian Consumer Law (ACL) in the Consumer and Competition Act 2010, and similar consumer protection laws and regulations may confer you with rights, warranties, guarantees and remedies relating to the provision of Services by us to you which cannot be excluded, restricted or modified (Statutory Rights). Our liability is governed solely by the ACL and these Terms. 66. Services: If you are a consumer as defined in the ACL, the following applies to you: We guarantee that the Services we supply to you are rendered with due care and skill; fit for the purpose that we advertise, or that you have told us you are acquiring the Services for or for a result which you have told us you wish the Services to achieve, unless we consider the disclose that this purpose is not achievable; and will be supplied within a reasonable time. To the extent we are unable to exclude liability; our total liability for loss or damage you suffer or incur from our Services is limited to us resupplying the Services to you, or, at our option, us refunding to you the amount you have paid us for the services to which your claim relates. 67. Delay: Where the provision of services depends on your information or response, we have no liability for a failure to perform the Services in this estimated period, which is affected by your delay in response, incomplete or incorrect information. 68. Referral: On request by you, we may provide you with contact details of third party specialists. This is not a recommendation by us for you to seek their advice or to use their services, we make no representation or warranty about the third party advice or provision of services, and we disclaim all responsibility and liability for the third party advice or provision of services, or failure to advise or provide services. 69. Warranties: To the extent permitted by law, we exclude all express and implied warranties, and all material and work is provided to you without warranties of any kind, either express or implied. We expressly disclaim all warranties including but not limited to implied warranties of merchantability and fitness for a particular purpose. 70. Liability: To the extent permitted by law, we exclude all express or implied representations, conditions, guarantees and terms relating to the Services and this agreement, except those set out in the agreement, including but not limited to: implied or express guarantees, representations or conditions of any kind, which are not stated in the Terms; our Service being unavailable; and any loss, damage, costs including legal costs, or expense whether direct, indirect, incidental, special, consequential and/or indirect, remote, abnormal or unforeseeable loss, or any loss or damage relating to business interruption, or otherwise, suffered by you or claim made against you, arising out of or in connection with the inability to access or use the Services, and the late supply of Services, even if we were expressly advised of the likelihood of such loss or damage. 71. Limitation: Our total liability arising out of or in connection with our Services, however arising, including under contract, tort, including negligence, in equity, under statute or otherwise, will not exceed the total fees paid by you to us in the twelve (12) month period prior to the event giving rise to the liability, or one hundred dollars (AUD$100) if no such payments have been made, as applicable. 72. This clause will survive termination of these Terms. i. You are liable for and agree to indemnify, defend and hold us harmless for and against any and all claims, liabilities, suits, actions and expenses, including costs of litigation and reasonable legal costs, resulting directly or indirectly from: any information that is not accurate, up to date or complete or is misleading or a misrepresentation; any breach of these Terms; and any misuse of the Services from or by you, your employees, contractors or agents. 74. The obligations under this clause will survive the termination of these Terms. 75. We reserve the right to vary this Agreement and Business for Life, revise Business for Life content, cancel or reschedule part of Business for Life or to make other changes to Business for Life as reasonably required. 76. Privacy: We agree to comply with the legal requirements of the Australian Privacy Principles as set out in the Privacy Act 1988 and any other applicable legislation or privacy guidelines. 77. Email: You acknowledge that we are able to send electronic mail to you and receive electronic mail from you. You release us from any claim you may have as a result of any unauthorised copying, recording, reading or interference with that document or information after transmission, for any delay or non-delivery of any document or information and for any damaged caused to your system or any files by a transfer. 78. GST: If and when applicable, GST payable on our Services will be set out on our Invoices. By accepting these Terms, you agree to pay us an amount equivalent to the GST imposed on these charges. GST means GST as defined in the A New Tax System (Goods and Services Tax) Act 1999 as amended from time to time or any replacement or other relevant legislation and regulations. 79. 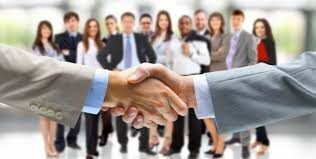 Relation of parties: The Terms are not intended to create a relationship between the parties of partnership, joint venture, or employer employee. 80. Assignment: The Terms are personal to the Parties. A Party must not assign or deal with the whole or any part of its right or obligations under these Terms without the prior written consent of the other Party (such consent not to be unreasonably withheld). 82. Force Majeure: We will not be liable for any delay or failure to perform our obligations under the Terms is such delay is due to any circumstance beyond our reasonable control. If we are delayed from performing our obligations due to such a circumstance for a period of at least 2 months, we may terminate our agreement with you by giving you 5 business days’ notice in writing. 83. Notice: Any notice required or permitted to be given by either party to the other under these conditions will be in writing addressed to you at the address you provide in the application form and if to us, at the address provided at the end of these Terms. Any notice may be sent by standard post or email, and notice will be deemed to have been served on the expiry of 48 hours in the case of post, or at the time of transmission in the case of transmission. 84. Jurisdiction & Applicable Law: These terms are governed by the laws of New South Wales and the Commonwealth of Australia. Each party irrevocably and unconditionally submits to the exclusive jurisdiction of the courts operating in New South Wales. 85. Entire Agreement: These Terms and any document expressly referred to in them represent the entire agreement between you and us and supersede any prior agreement, understanding or arrangement between you and us, whether oral or in writing. Are you going slow enough? It goes against our natures as business owners and entrepreneurs; we want to be all go, all the time – after all, isn’t that how we get things done? There’s a whole different line of thinking taking hold in businesses today – mindfulness. It’s not a new idea but it’s one that might not be such a bad idea when it comes to being more productive and focused in your business. The idea of slowing down in your business is similar to the idea of slowing down when you’re driving in the car – slowing down makes it easier to drive safely and efficiently. It’s easy to want to speed – it’ll get you there quicker – but if you’re speeding up by cutting corners, ignoring warning signs and not following proper procedures, you could end up driving yourself into some nasty terrain! 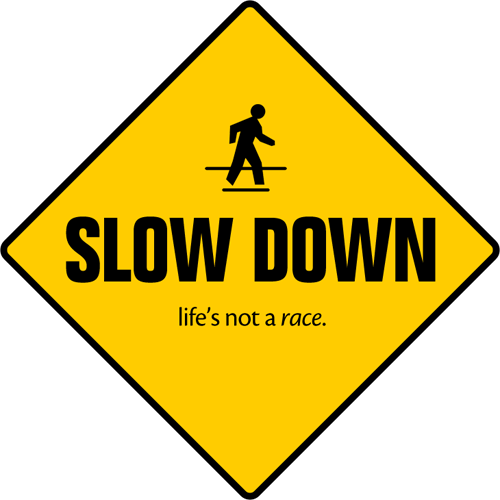 What can you achieve when you slow down? Focus and Perspective; taking the time to stop and absorb your surroundings means that you can focus on what’s important and concentrate all your energy on that. Insight; slowing down means you can see what’s coming up and you can prepare yourself better for it, instead of waiting until the last minute. Well-thought out conversations; whether you’re conversing in person, online or through your marketing materials, taking the time to think about what you’re going to say before you say it can result in more effective conversations. Reflection; slowing down can give you more time to revisit your goals, assess your progress and readjust. Enjoyment; instead of rushing so fast that you can’t enjoy what you’re creating and achieving, there’s something in stopping to smell the roses and enjoy what you’re doing! Rest and rejuvenation; everything listed above is fantastic, but it might not ever get done if you don’t take a break to make sure you’re well rested so you can get things done. A study of 343 businesses has found that the companies who were focused on always pushing forward and moving at a fast pace to gain an edge over their competitors were actually more likely to have lower sales figures and operating profits. Those who took time at important moments in their business life were more likely to stay on track and meet targets, showing us that slowing down doesn’t mean that productivity suffers as a result. It might be easy to talk about slowing down, but how can you actually start to practice ‘being slow’ in your day-to-day business life? Yet another study tells us that 46.9% of the time, we’re thinking about something other than the task we’re involved in, how do we get our mind to focus? Concentrate on one task at a time. Things might get done a little slower, but you’ll be getting the tasks done at a high standard every time. Eat slowly and away from your desk. It might sound a little pointless, but eating slowly means that you enjoy your food, you focus on your senses, you get a little me-time and you fill up from less food, meaning less food breaks later in the day, keeping you efficient. Get moving. A 5-minute walk in-between tasks allows you to clear your head, spend time enjoying the fresh air and ready yourself for the rest of the day. Even though it goes against everything we’re told to do, taking that time to slow things down and think things through could do wonders for your personal sanity, as well as your business’ growth. It’s common knowledge that it’s easier to keep existing customers rather than winning over new ones, but this fact can sometimes get lost in amongst the pressure we all feel to be bringing in new customers and growing our business. We get distracted and we start neglecting those customers who have already engaged with us in the past. Why should you shift your focus to your existing customers? Have you ever considered how much time and money you spend trying to engage new customers through your marketing? Of course, you have to spend resources in order to make sales, but could some of those resources be better spent looking after your existing customers? Marketing is essential for growing your business, but how much of your marketing is going to people who were once your customers but left for a better solution? Save your time, money and energy by focusing more on your existing customers. While we’re still talking resources, have you ever considered what will happen when all that marketing pays off? Does your business have all the resources ready to go if, suddenly, a swarm of new customers want to engage? If you become overwhelmed and can’t provide the new customers with the service you promised them or the existing customers with the service they’ve come to love, you could be running the risk of losing everyone all together. How can you foster loyalty? 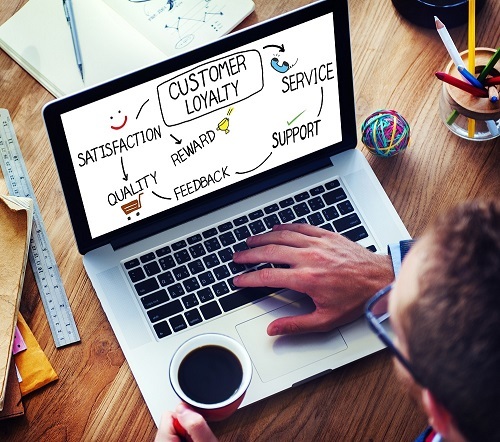 You’ve got customers, so how can you make sure they stay with you? It’s less about meeting their expectations and more about going above and beyond! Have you ever wanted to buy a product online, only to find they had no clear guide to shipping costs? Maybe it’s an oversight or perhaps it’s a deliberate omission to hide their astronomical prices. Either way, it’s not a good look. Laying everything out clearly for your customer to see is the best way to foster trust. Most of the time, it feels like you’re shouting into the void – your email campaigns might show increases in sign ups or sales but it’s less common to have your customers telling you exactly what they think. Provide them with an option to give you feedback and make it front and centre. Not only does it feel less like you’re talking to yourself, but it gives your customers a voice and opens up the communication between you. If you were asking someone for directions in a big city, would you trust them if they weren’t even sure where they were or changed their mind constantly? Similarly, in business, it’s important you know where you’ve been, where you are now and where you’re going. Know everything you can about your business so that when, inevitably, a customer asks a question, you can give them a confident answer. How can they trust you if you’re not sure about something you’re supposed to be good at? Customers are big fans of consistency. It’s comforting to know that you’ll get the exact same great result every single time and if you are consistent, your customers will become even bigger fans of you. Never sacrifice quality for quantity, no matter how efficient you seem – it will ultimately make your customers lose faith in the service or product you provide. You might be selling your product or service but you’re also selling the experience of doing business. Having genuine, honest conversations will keep customers coming back for more and owning up to your mistakes, when you make them, will show your customers you care about the end result. It might seem like a small (and easy) thing, but being genuine could be the reason your customers choose you every time. Start implementing some of these easy tips today and watch as your customers become raving fans! If you want to find out more about creating Raving Fans or about what we do at Bx, feel free to book a quick 15-20 minute chat with me and we can talk. Book in HERE.